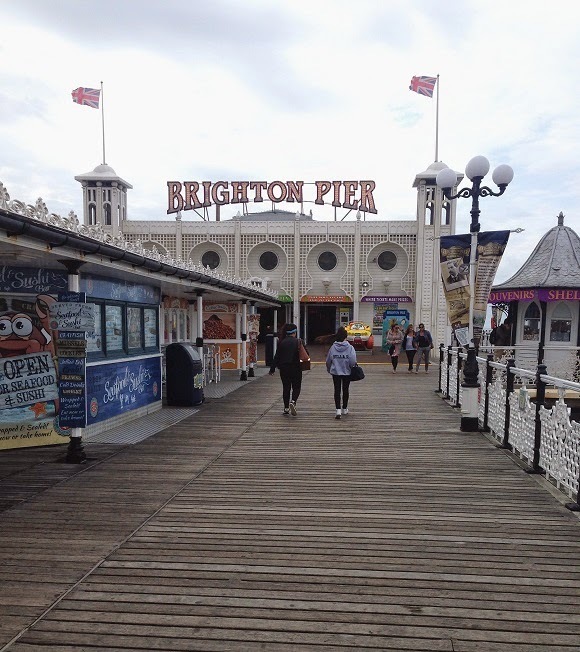 A few weekends ago me and my mum took a trip to Brighton after being nearby for my Auntie's wedding. 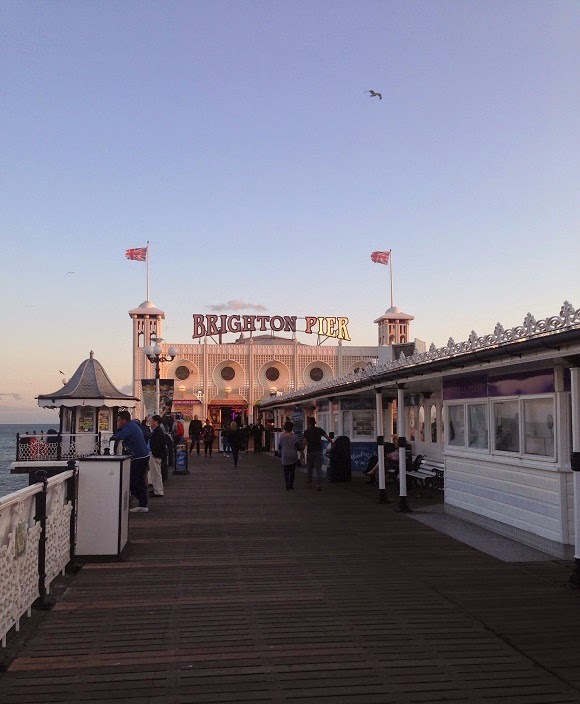 I've never been to Brighton but have wanted to go for so long now and I'm really glad I finally got a chance to as I loved every minute of it. 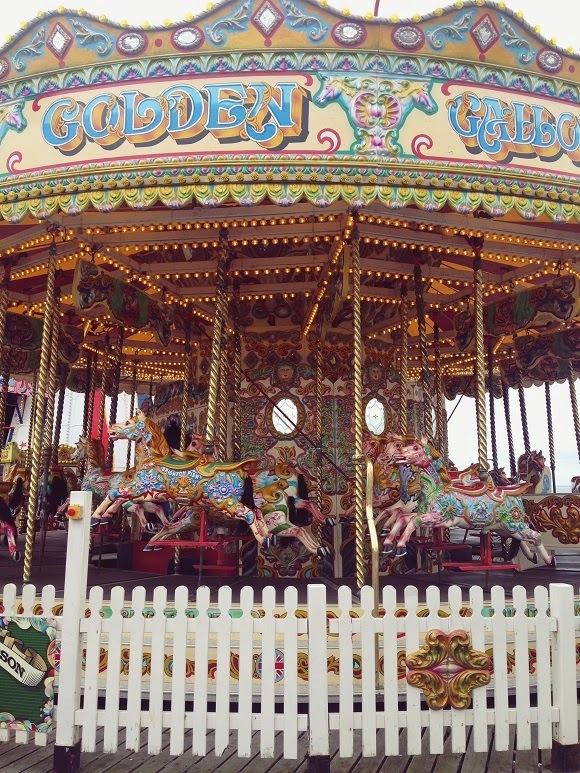 It combines some of my favourite things which means it now has a very special place in my heart, vintage, antique and unique shops, the seaside, amazing places to eat, and a giant Urban Outfitters, what's not to love about that? 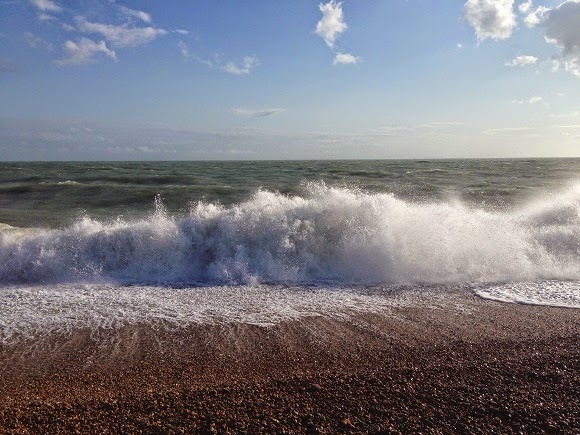 The first day we were there it was extremely windy which resulted in a wild and uncontrollable sea. 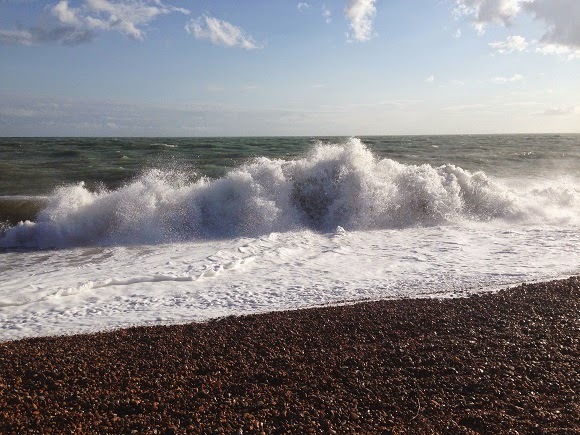 We had so much fun just sitting on the beach watching the waves go crazy as we live on the wrong side of England to be able to fully appreciate rough seas so when we get to see them it takes our breath away. 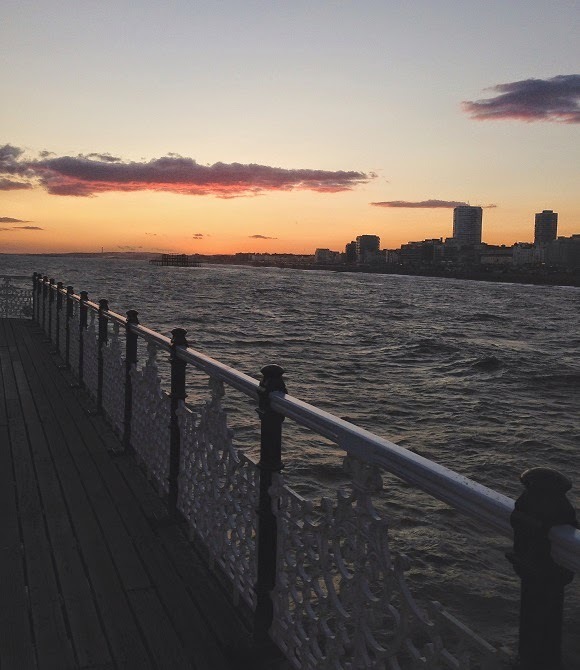 We visited the Palace Pier first and it was incredibly beautiful. 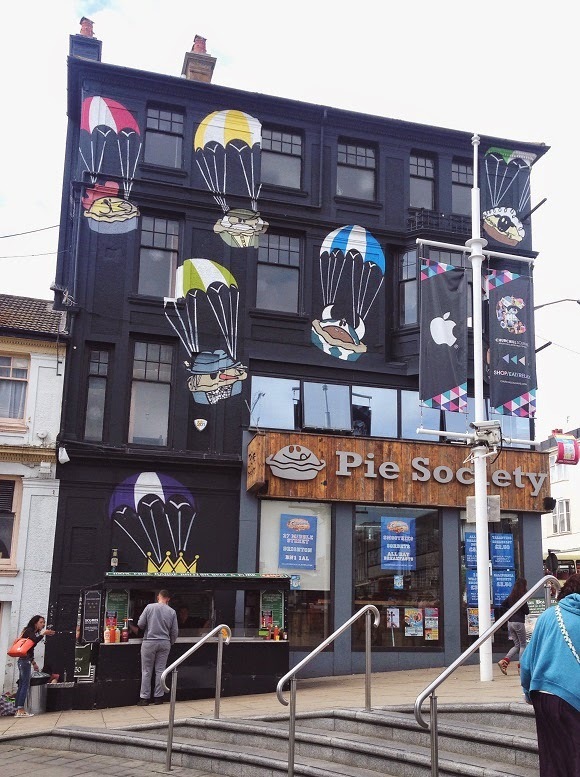 It had the tackiness of seaside tourist attractions that I adore, but the general architecture and especially the insides of the penny arcades were classic and beautifully designed. 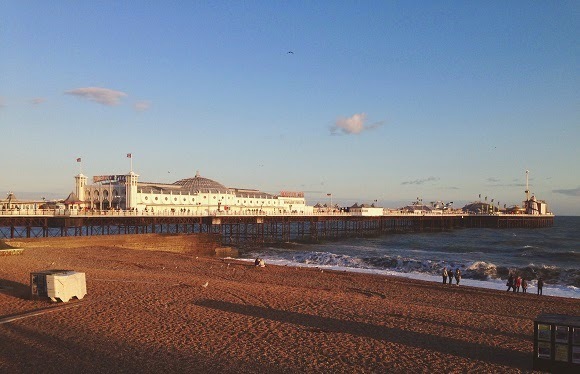 There's loads to do on the pier itself, from food stalls and restaurants to souvenir shops, penny arcades and even a fair with a few roller coasters at the very end. 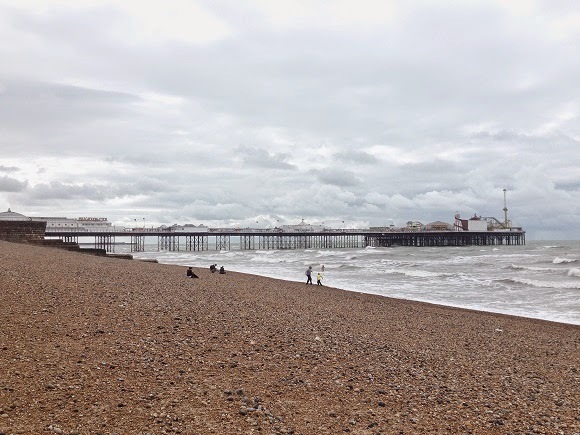 Eventually we ended up spending a few hours just exploring the pier without even realising how much time had gone then made our way into the centre of Brighton to look around even more and get something to eat. 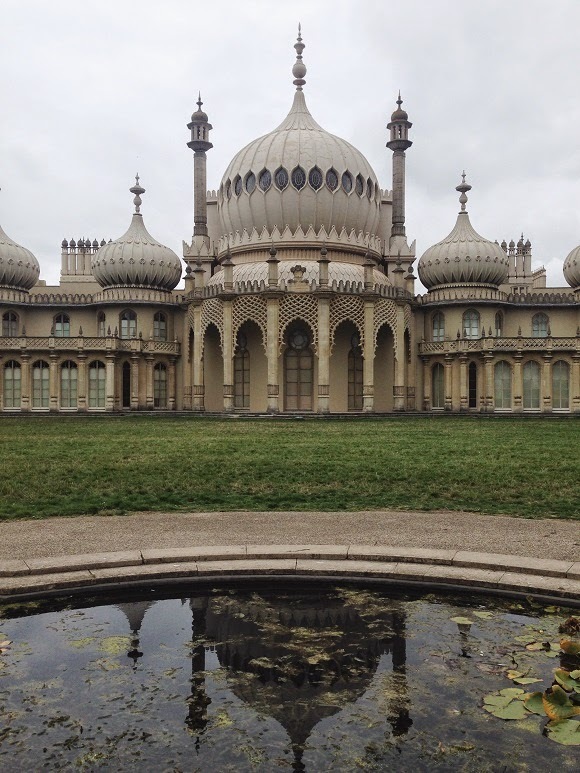 Before we went into the shopping areas we came across the Royal Pavilion. It's a former royal residence that was built in 1787 for George IV as a seaside retreat in an Indian style that was increasingly popular from the end of the 1700s. The building is impressive to see as it's not a style that you'd expect to find in England, although parts of it were quite tatty and could do with a lick of paint and tidy up. 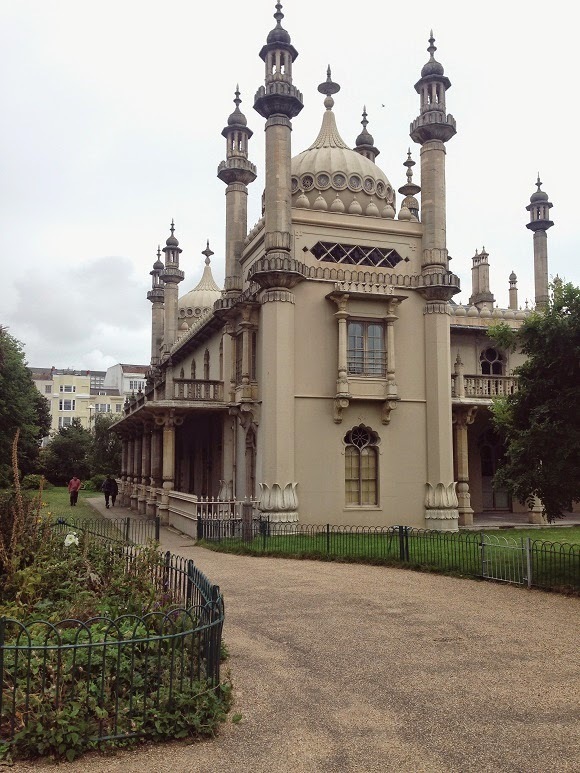 We didn't get a chance to go inside but I may do that next time I go back to Brighton as I'd like to see more of the history around it and also find out about its use as a Military Hospital during World War One. 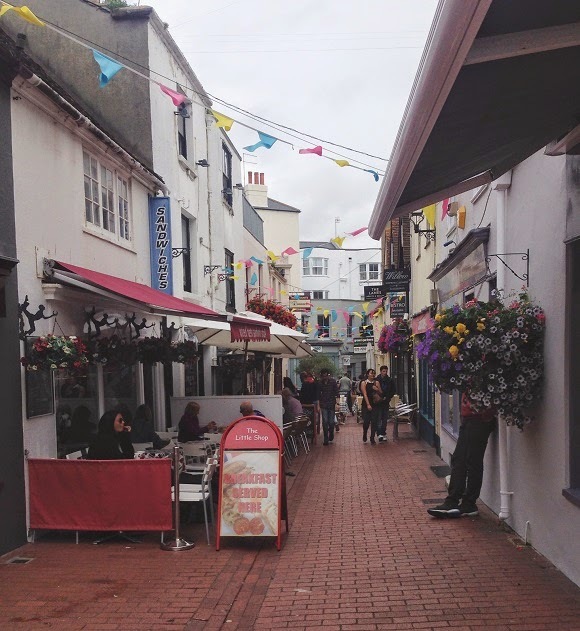 The actual shopping experience in Brighton was great, it had the range of somewhere like London with it's array of mainstream and vintage/individual shops but on a far smaller scale which made it doable and much to explore without being too overwhelming. 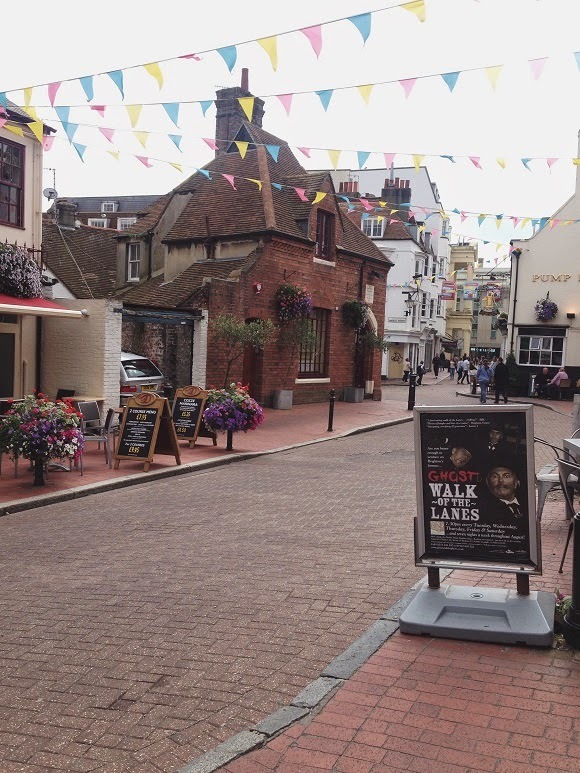 It consists of the Lanes, the North Laine district and then the more modern shopping area with the general high street shops and shopping centres. 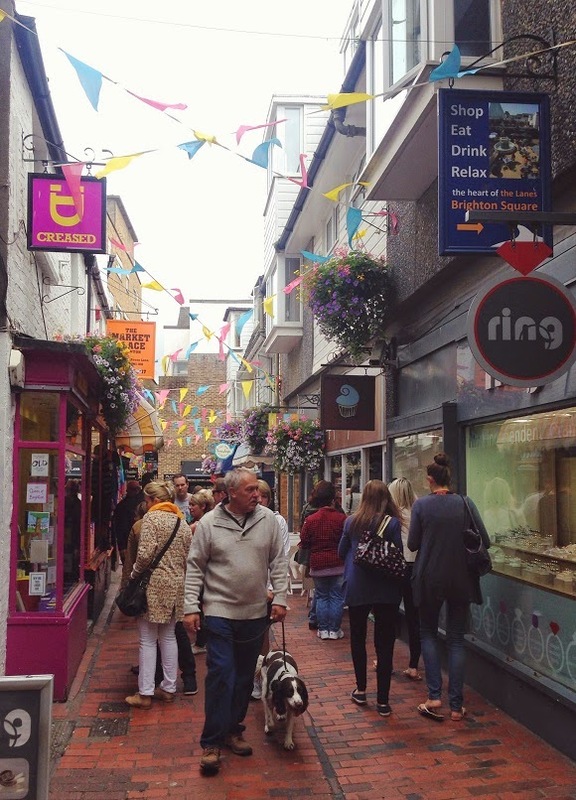 The Lanes and North Laine were full of vintage/antique/unique stores and cute little cafes or restaurants. 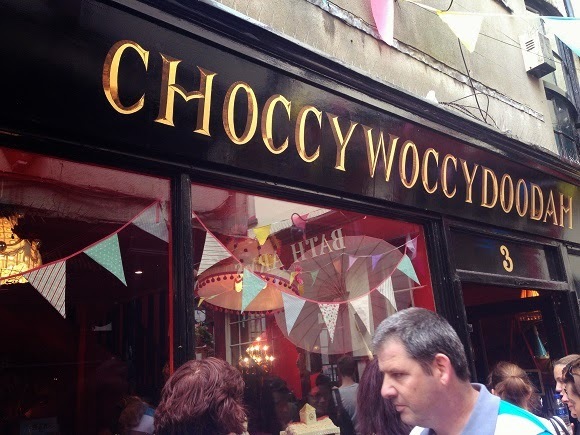 There was so much to choose from we were spoilt for choice and could hardly decide where to shop or eat, vintage style ice cream parlours or antique bookstores? It really was absolute heaven for me. 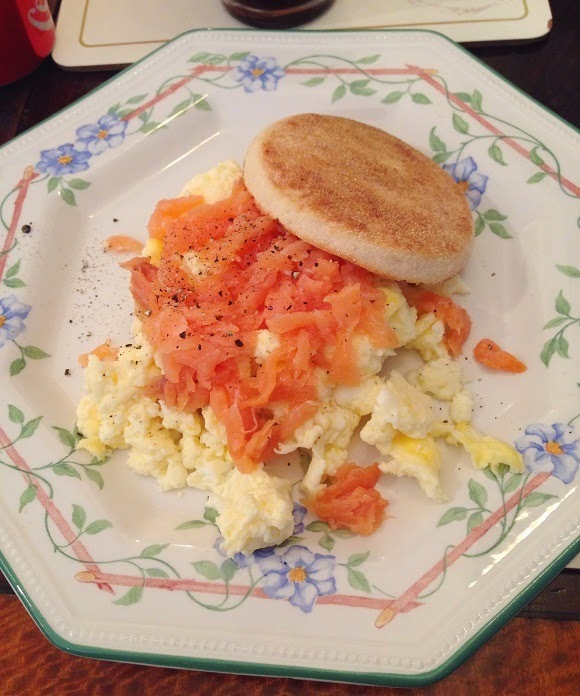 We ended up settling down for brunch in a 40's style teashop called 'That Little Teashop in the Lanes', I went for scrambled eggs and salmon on muffins and it was delicious, I always forget how much I love salmon until I have it with a muffin and egg! 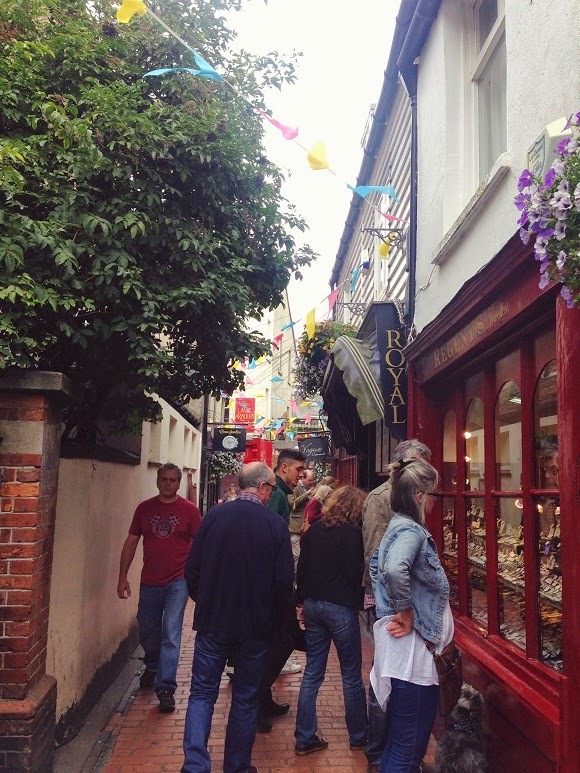 After we'd eaten we had a further look around the Lanes, popping in and out of shops if we fancied the look of them. 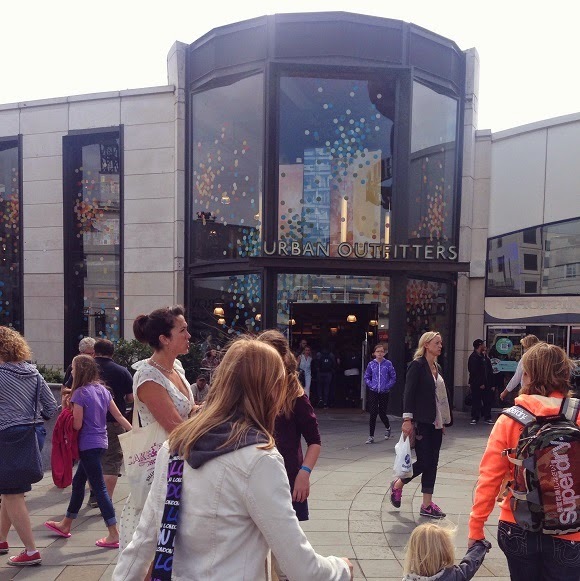 Eventually we went to look around the high street area, mainly in the giant Urban Outfitters as I rarely purchase anything from them online but always find clothes that I love in store. 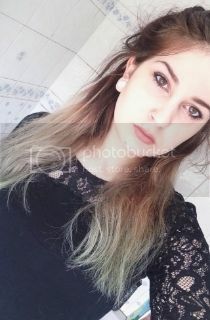 I could have bought so much from there but unfortunately I didn't have much money and wanted to save it to buy a few thing for the boyfriend instead. After UO we ventured in to the indoor shopping centre and came across a Lego store. Straight away I knew that the perfect present for my boyfriend would be a mini build-your-own Lego figurine of himself (and of course one for me too). 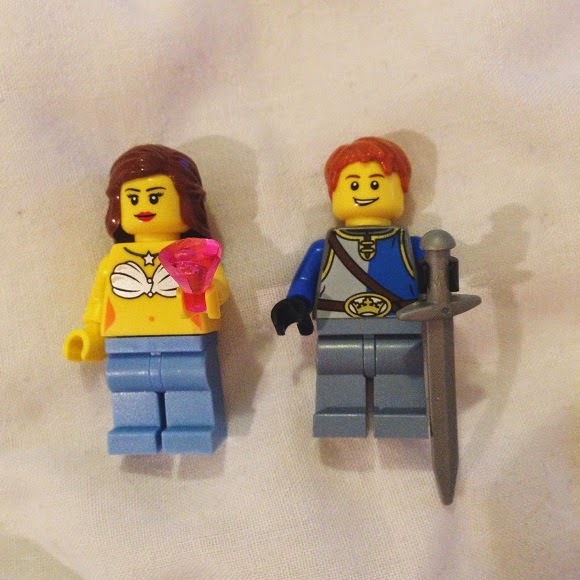 I was definitely the oldest person there but probably had way more fun than the kids did building myself and hunting around for the perfect hair or top! It was late afternoon by the time we were done shopping so we decided to go and check in to the hotel and have a lie down before we went out for dinner as I was absolutely shattered after a solid eight hours of walking around. 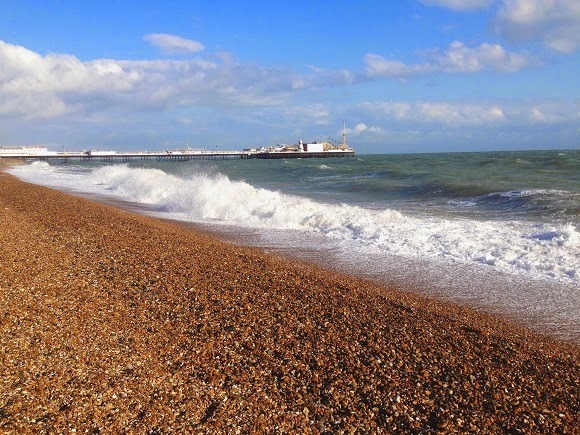 We just stayed in a Travelodge as we were only there for one night and it was nothing special but fine for what we wanted and in a good location for the seafront and central Brighton. When we were feeling re-energised we stepped out again, this time to find somewhere to go for dinner. 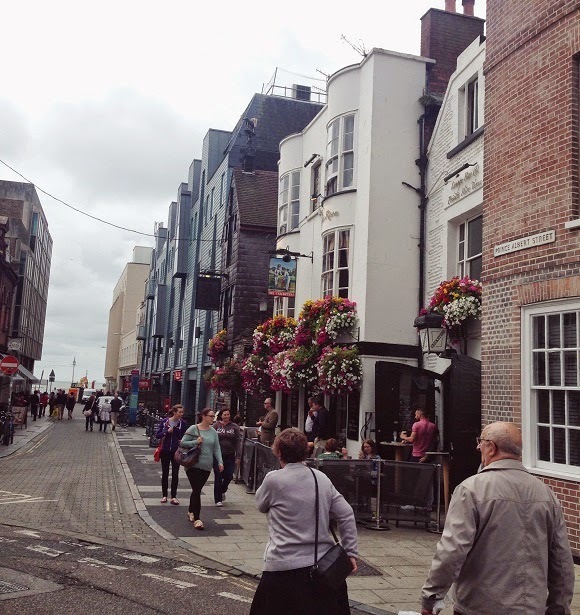 Brighton has a huge range of restaurants, cafes, ice cream parlours or whatever else may take your fancy, so it was such a tough decision to find somewhere we wanted to eat with so much to choose from. In the end we went for a fancy seafood restaurant that was a little out of our price range but smelt absolutely delicious and had a beautiful outside area which we were seated in. I chose mussels with fries whereas my mum had a crab platter but we ended up ordering some bread to mop up the sauce from the mussels with as it was absolutely incredible and we didn't want to waste it! 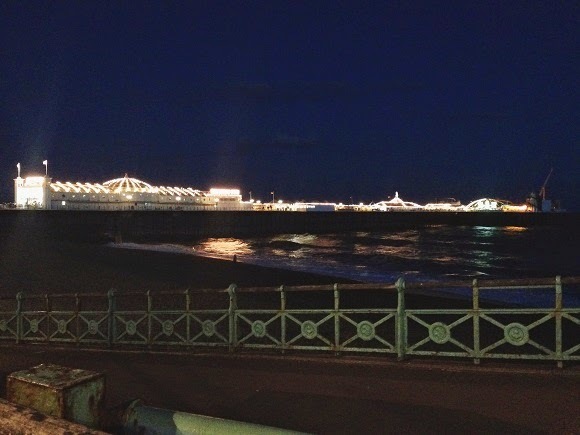 To finish off our first day in Brighton we went back to the Pier to do the penny arcades and see it with all the lights on at night. Before we did that however, we decided to have a ride on the Brighton Wheel. 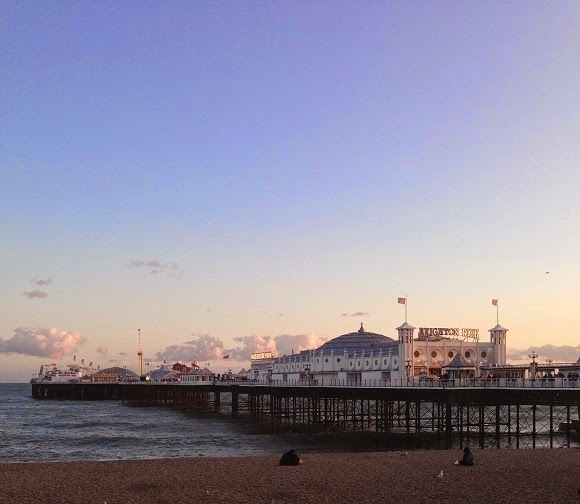 I'm so glad we did this as we had a beautiful view over Brighton, the Pier, and the surrounding areas for absolutely miles just as the sun was setting. As it was pretty windy that day the cars on the wheel were rocking as we got higher and seeing my mum freak out was so funny to watch as she's normally totally calm in situations like that. 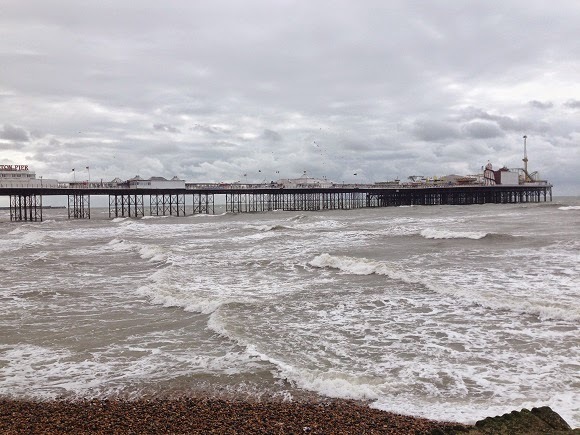 When we were safely back on land we slowly made our way back along the pier, stopping occasionally to take in the view and watch Brighton and its residents get ready for the approaching night. 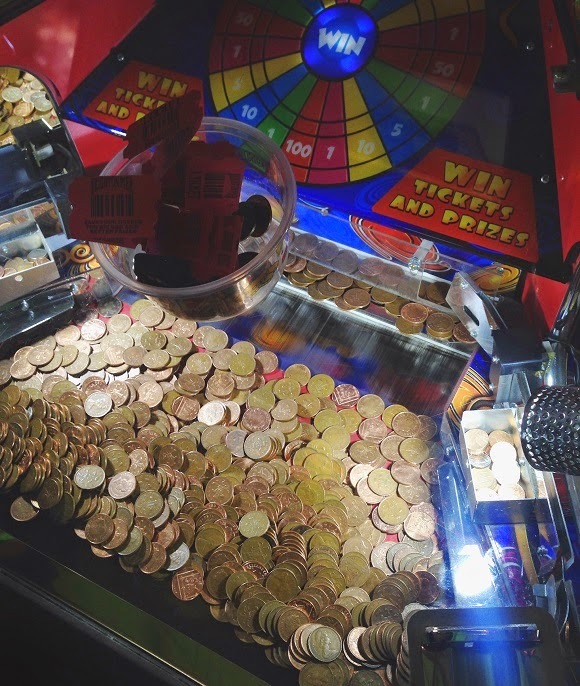 In the penny arcade we had all our loose change swapped for copper pennies and went on a mission to see what we could win. Something that made the Pier's penny arcade even more fun than the usual ones was that you could win tickets which could be exchanged for little prizes, I definitely had my eye on a Despicable Me minion cuddly toy but as it was 200 tickets and I only ended up with 20 we decided to give up and passed our tickets on to a boy near us who had somehow ended up with hundreds! We were both once again completely shattered when we had finished on the pier so just went back to the hotel to read our books before falling asleep as we had another busy day ahead of us. I'd definitely say our first day in Brighton was a success and although I barely purchased anything I'm already saving up for when I next go back so I can buy so much more and not want to cry when I can't afford anything in Urban Outfitters! 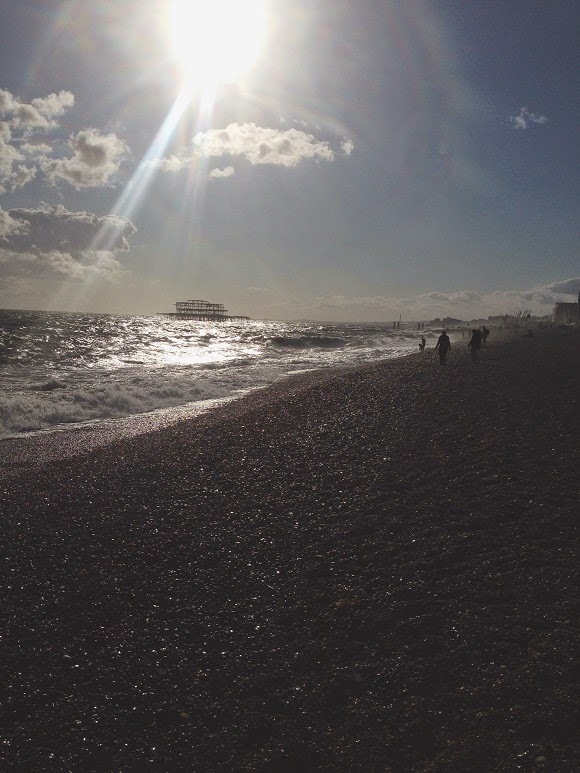 So what do you all think about the things we got up to on our first day in Brighton? Can anyone recommend me certain shops or places to eat that I can check out for when I go back, feel free to share them with me whether it's in the comments or via my twitter, If you enjoyed this post make sure to keep your eyes out for Part II which will be up soon! Oh wow this sounds like the most perfect day ever! Everything looks so sweet & pretty. I wouldn't be able to resist taking photos of absolutely everything :) I love the penny arcades too, could definitely waste hours on those! brighton looks like such a fun place to go for the day. i was thinking about doing it when i was in london in july/august but i ended up running out of time unfortunately. 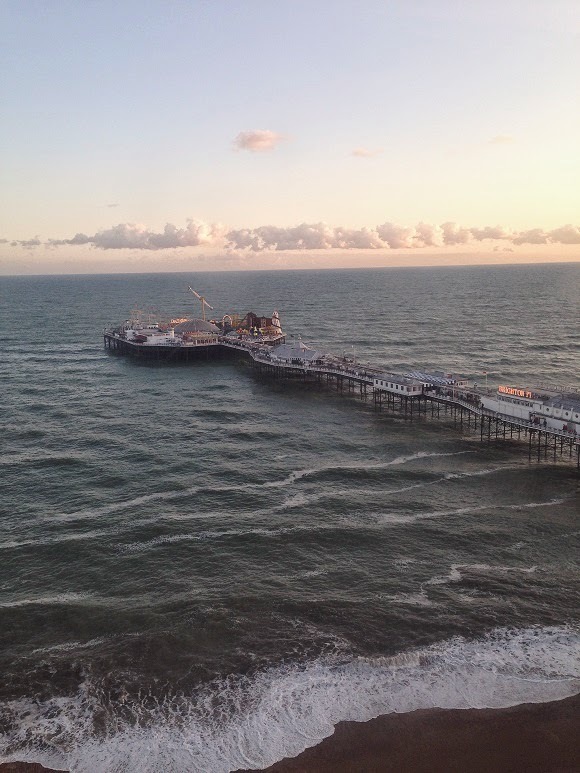 These pictures really make me want to go back to Brighton, I haven't been in so long. 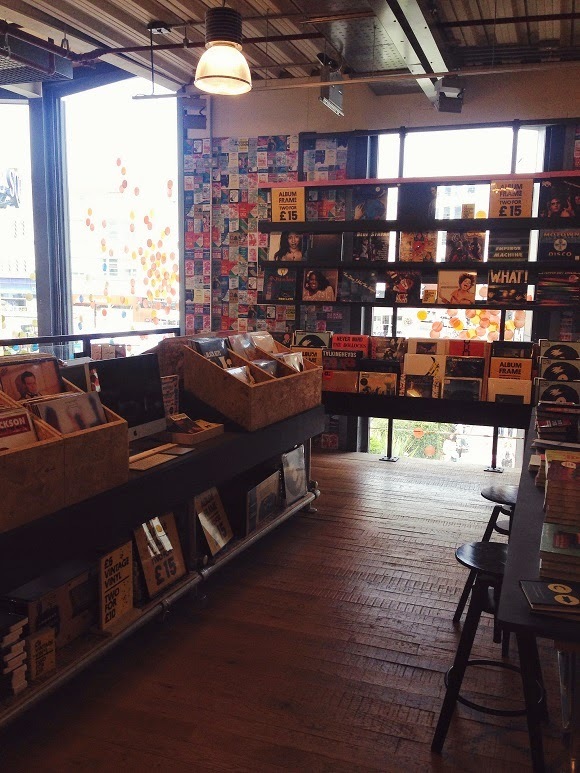 With a giant Urban Outfitters as well... whats not to love! It was lovely, such a photogenic place! Yeah we got so much done in just over a day and a half, thank you! I can't wait until I can go back, it's an amazing place and I love the atmosphere! You should definitely try and get down there at some point, there's so much to see and do so it's well worth visiting! 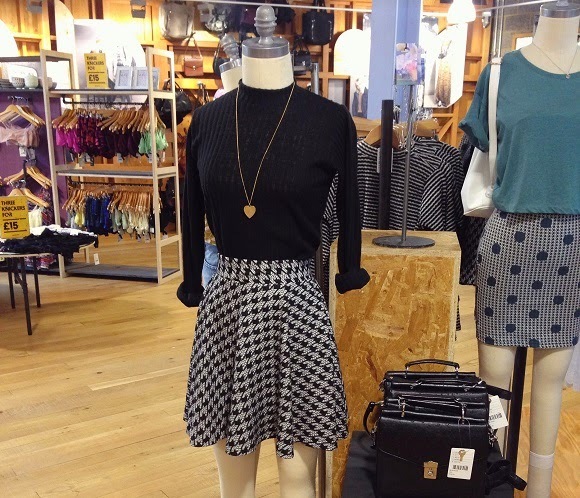 Oh I loved the Urban Outfitters, I would have bought everything in the store if I could have afforded it haha! 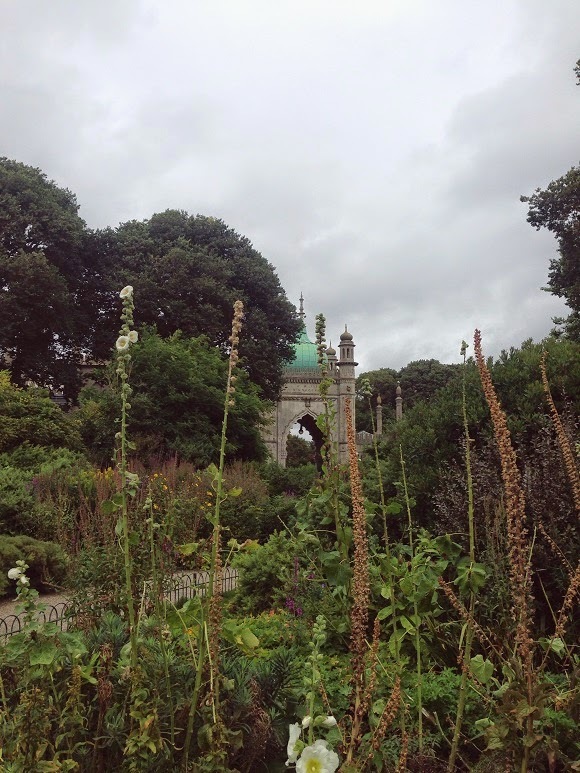 I recently had my first trip to Brighton as well (and did a post about it), gorgeous isn't it? I absolutely loved it! These pictures are gorgeous. 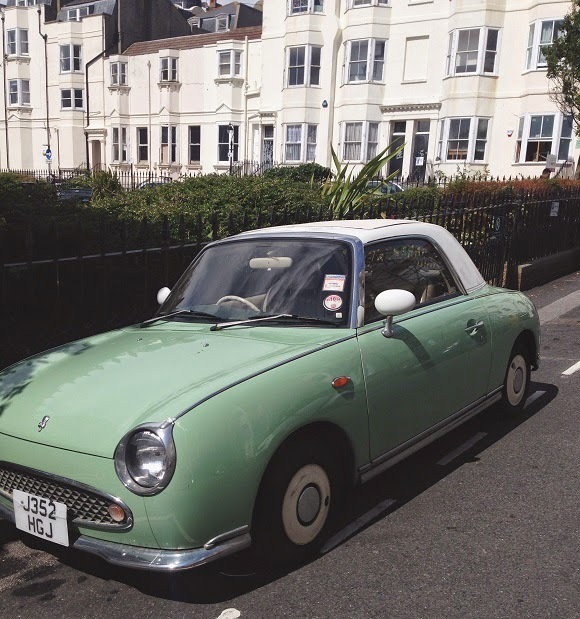 I wish I could go to Brighton, maybe soon.